The two deckers joining the fleet are Konectbus Wright Eclipse Gemini 513 LB02YXE (on loan) and East Lancs bodied Trident T812RFG from Hedingham. 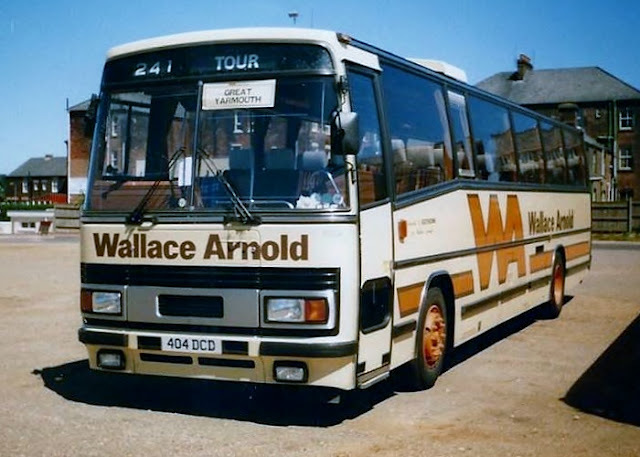 Wallace Arnold was founded in 1912 and was named after its founders Wallace Cunningham and Arnold Crowe. 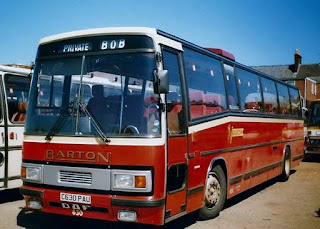 By 1980 it operated 290 coaches from its headquarters in Leeds and in April 2005, merged with Shearings to become WA Shearings. Two years later the Wallace Arnold name was dropped with the company becoming now known as Shearings Holidays. The last offering is of, believe it or not, a Duple bodied Dennis Javelin! 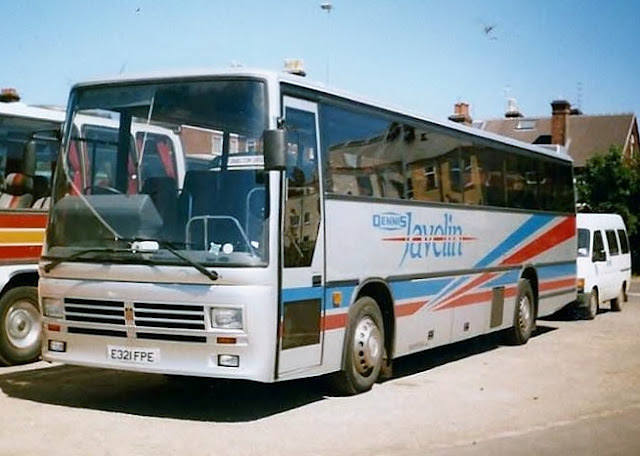 A former demonstrator, E321FPE was new to Dennis SV of Guildford in October 1987. 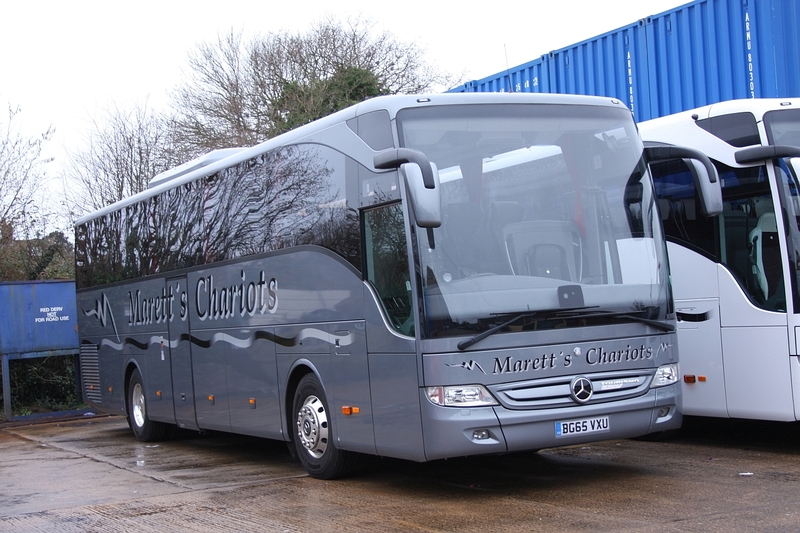 The vehicle is significant in being the third chassis built and the first to eleven metre length. 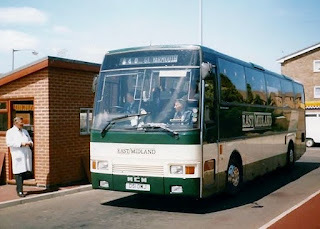 Re-registered as RIL 9160, it was noted operating for Huggins of Wallasey in September, 2000. 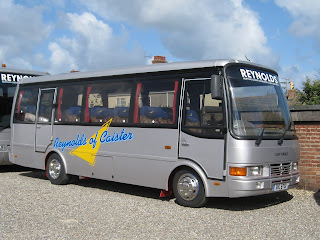 Unfortunately during my visit all the services were worked by deckers of the Scania variety which got to be a little boring! 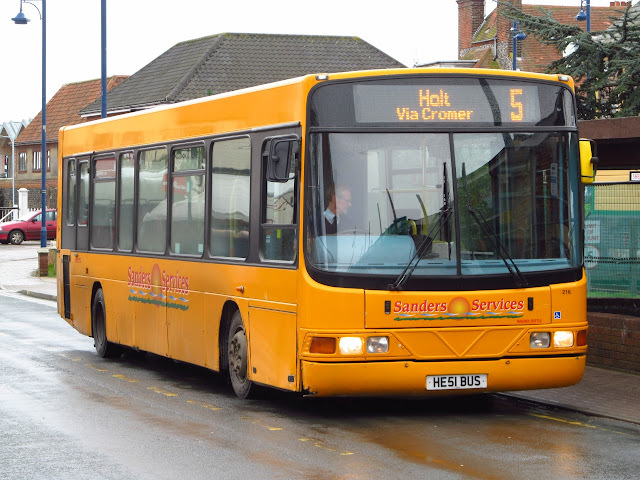 Saturday was set aside to visit Sheringham and Cromer in order to photograph some of Sanders latest arrivals. At least that was the plan! Having spent the day dodging the showers and looking for the elusive arrivals it was the town of North Walsham that managed to grab most of my attention with a couple of vehicles new to myself. The day also came to a rather ironic end which shall be revealed in due course! Parked outside the Mattressman warehouse proudly advertising its current owner on the outskirts of the town is Volvo Olympian K102JWJ, it was new to Stagecoach Midlands and latterly with Stagecoach Lincolnshire as 16472, it was first time i had seen it here as i passed en route to Sheringham. Next up noticed that a couple of coaches were parked up in the yard formerly used by Bluebird Travel on the town's industrial estate, on further inspection the yard is now used by Maretts Chariots and home to both their recent arrivals MB Tourismos BU64MYR & BG65VXU, i met a member of staff who was cleaning the newest arrival and was kindly shown round the very impressive vehicles. 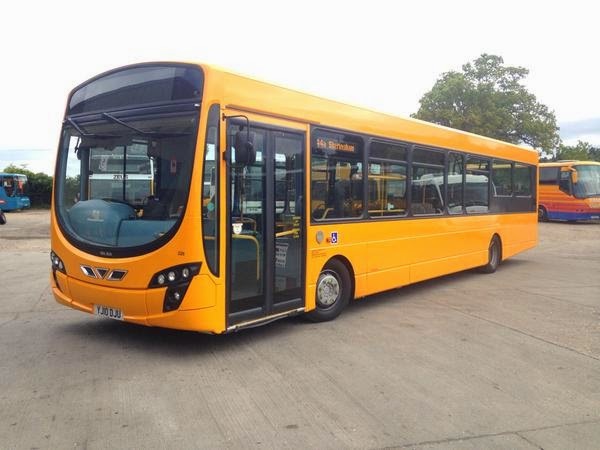 They differ slightly with the 64 plate version having 51 seats and an on board toilet with the newer one being a 53 seater. Many thanks for the tour and chat. Next it was onto a damp Sheringham to see what i could capture working the local routes. 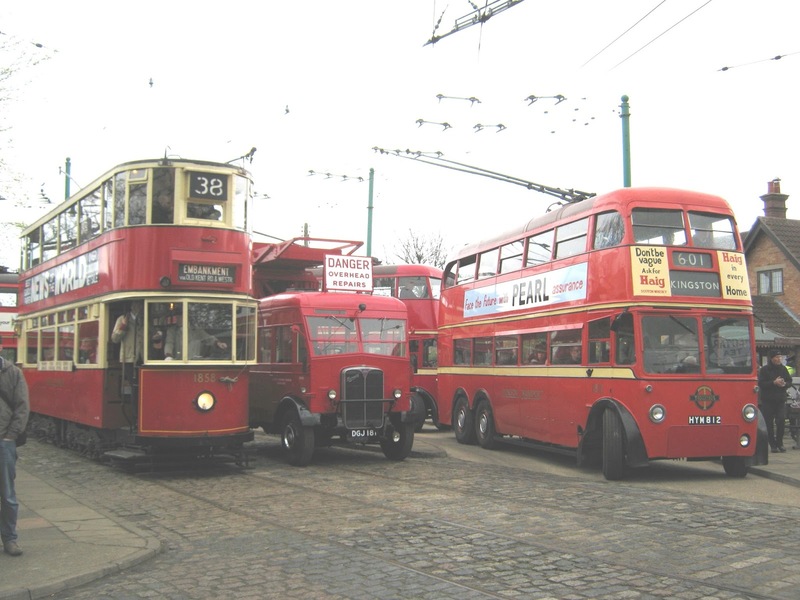 First spot was what i believe is the last remaining Wright bodied Cadet in the fleet HE51BUS, i noted a couple of others being stripped at the North Walsham depot. I had hoped to see the latest Gemini arrival and the two ex Fishwicks single deckers but to no avail! I headed back home via Cromer to look in at Cadagon Road where i was greeted by a meeting of Optare Solos, two from Stagecoach Norfolk and one belonging to Sanders. Solo line up in Cromer. So my day was done with some success but not what i had set out for or so i thought! Here comes the ironic twist, as i parked up back home in Ormesby, Sanders 6 service to North Walsham passes through the village and stops outside my house on Cromer Road and guess what pulled up at the stop! You guessed it! 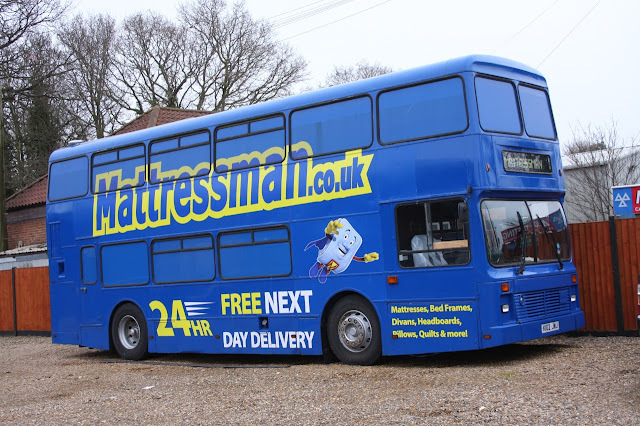 After a 60 mile round trip it stops on your doorstep! 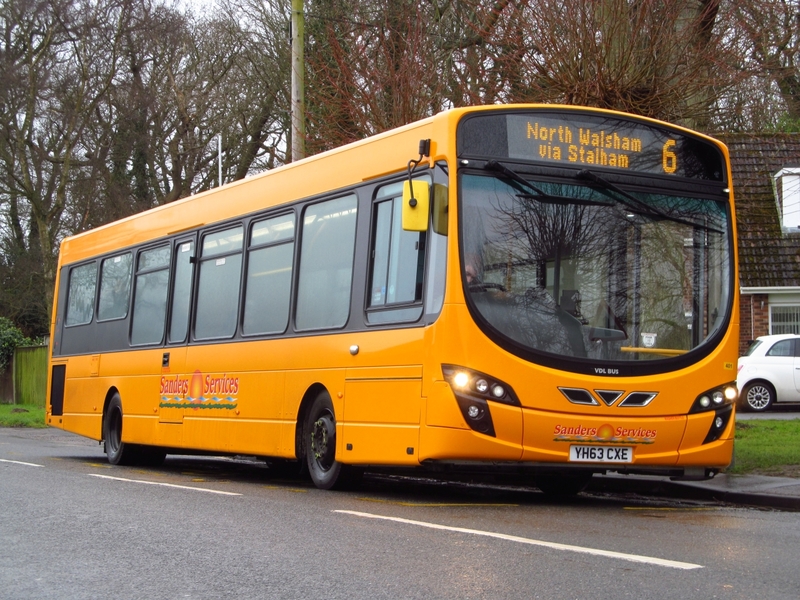 Ex Fishwicks YH63CXE en route to North Walsham. I shall say no more! It was later converted to single door layout with coach seating in 1986 at the same time as having the forester livery applied and believed to be for use on a designated route - the X99. 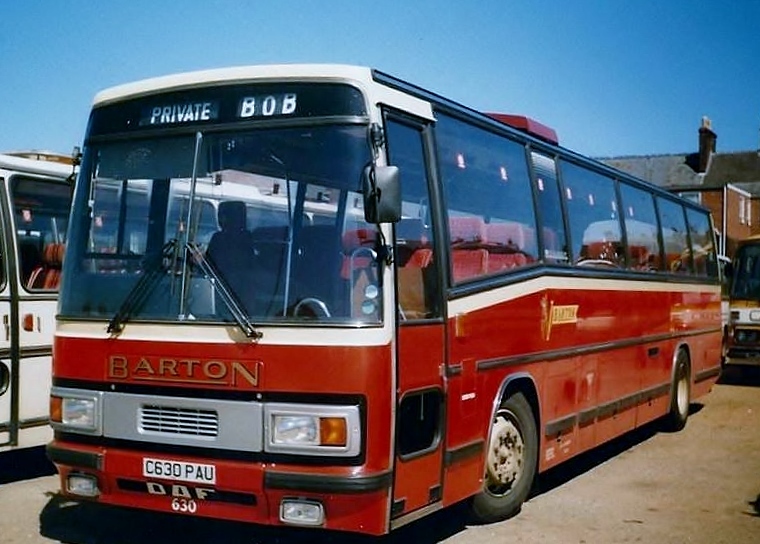 It is thought to be Forest District Council's only attempt at a commercial service which ran half hourly between Basildon and Harlow. 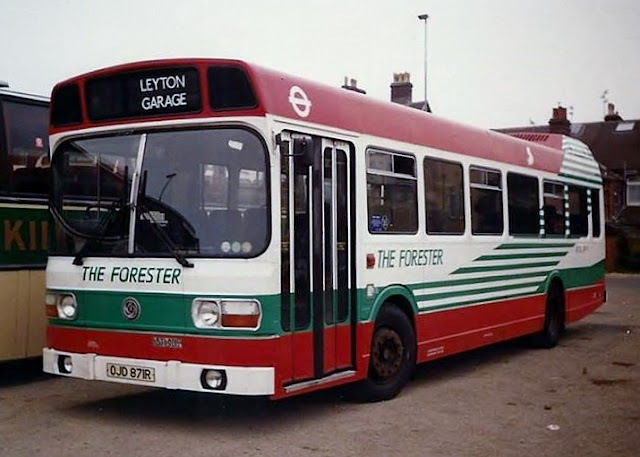 When the X99 finished, the buses went to various places, including Leyton Garage, from which it is operating in the photo. In 1942 she married Leonard who was then in the RAF and when the war ended they moved to Ormesby Road in the village. He took up the reins of his late father's transport business and began carrying passengers firstly by horse drawn carriages and then in Ford Model T 14 seater charabancs. 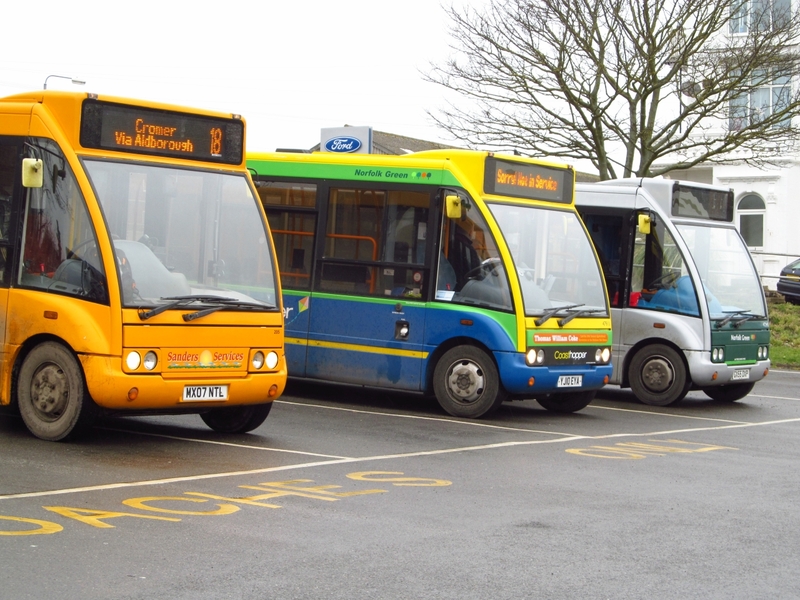 Another fortnight passes and another Notices and Proceedings Report is issued by the Traffic Commissioner for the East of England. 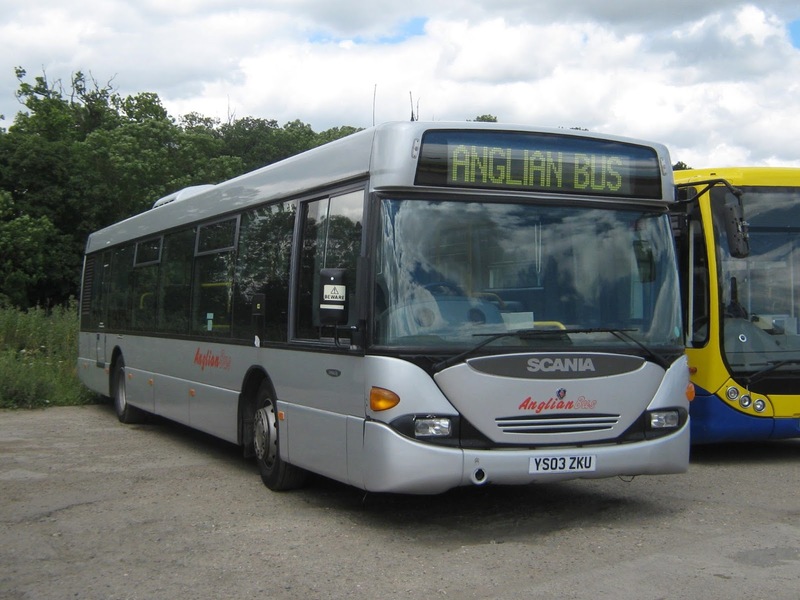 Unlike the two previous publications there's a lot more to digest with Anglianbus, Borderbus, Konectbus, Sanders and Ourhire all registering changes this time. So take a deep breath and here we go! However, the outward journey didn't go as planned - I arrived near to the bus stop just to see the X1 passing me with celebrity SN60CAA in charge. After an expletive, I decided to walk to Gorleston High Street where I would have a choice of routes - and it rained too! 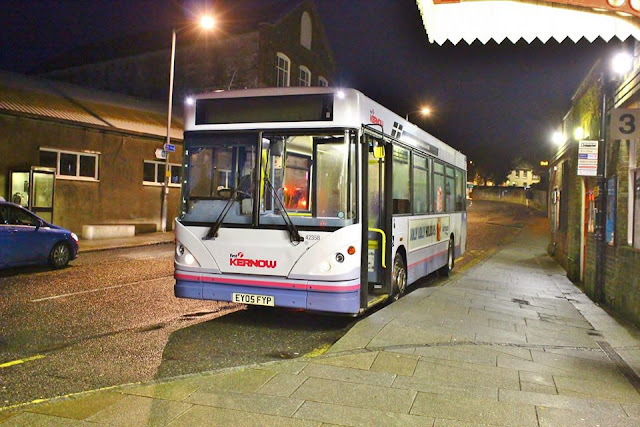 Arriving at Lowestoft Bus Station, I noted that Lowestoft Corporation liveried ALX400 30888 W743DWX was about to work the X22 to Norwich. Another bus I wanted a photo of and, although the low sun wasn't helping, this is was what I got! With the cold and rain shower beginning to take effect, and none of the sextet of new arrivals making an appearance, I decided it was time for a caffeine injection. Armed with my hot drink, I headed off to Station Square for a different location for photos. No sooner had I arrived then another shower meant a quick dash to the railway station for cover. I immediately decided not to partake of some passive smoking so headed for the bus shelters instead. With the rain almost stopping, I espied my first newcomer in the queue of traffic heading towards me on Katwijk Way. Luckily 42911 WX05RVV was stopped at the lights allowing for a reasonable photo - perhaps the sun was shining down on me at last! I thought I would also look in at the former Eurosun premises at Norwich Road Industrial Estate. Seven vehicles were on site in various states of (dis)repair with King Long WJI5242 appearing to be the only one in a roadworthy condition now operating for Angies Tours. Easier said then done as it was surrounded by cars but the photo above is the best one I could manage. The bus was an East Lancs bodied Volvo Citybus which was last with Norwich School. 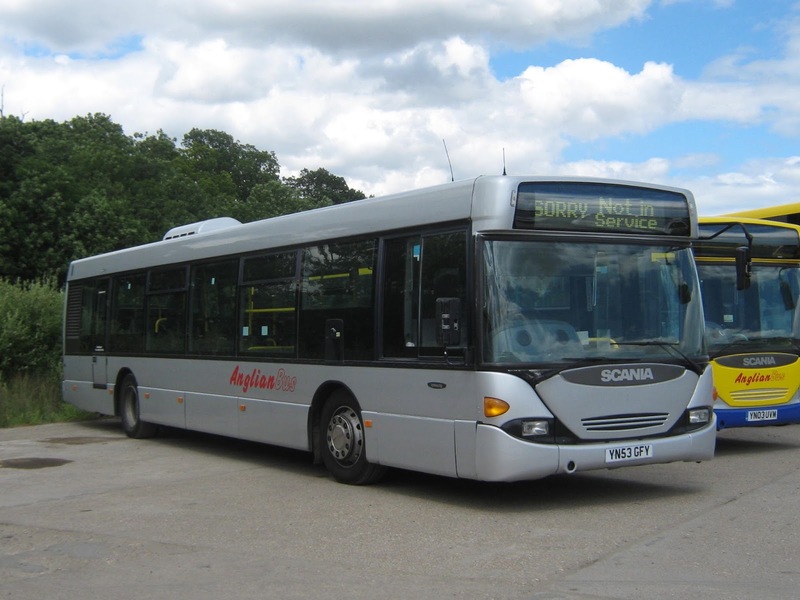 Andrew Smith contacted me earlier today to say that H653 GPF was auctioned at East Anglian Motor Auctions at Wymondham on 21st January last, along with a couple of Norse coaches. 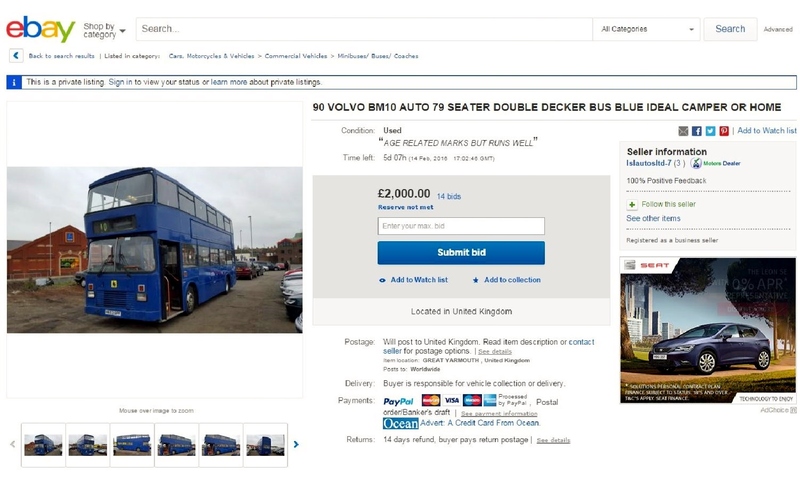 It failed to sell and was taken to Norse premises at Norwich. 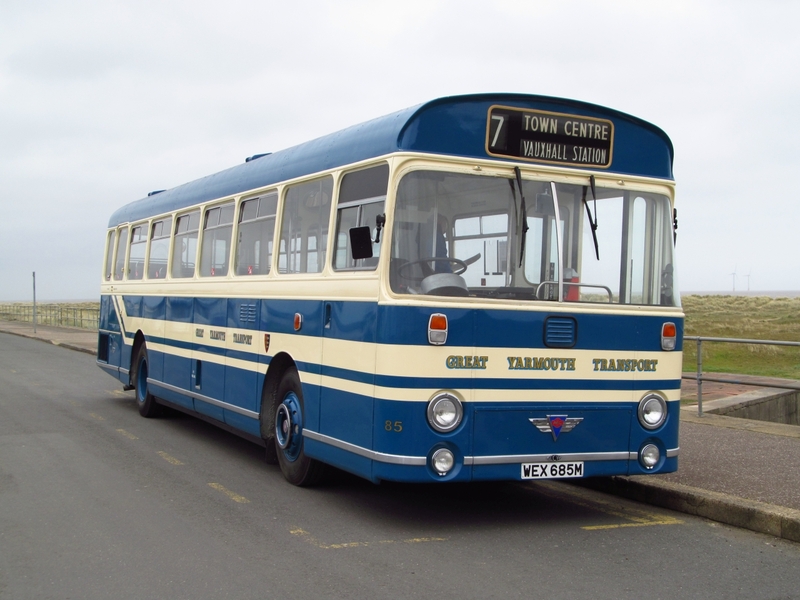 Yarmouth's most social media friendly bus took to the roads once again for its first outing of the year to blow a few cobwebs away after a while without any movement. I met Chris Speed this morning and after a quick boost with the battery pack we set of for a trip around some local haunts. A windy seafront was the first trip of the day. After a trip along a very blustery seafront and a quick jaunt through Market Gates we headed over to Gorleston and tried out the new road joining the A12 with Bradwell and Belton. 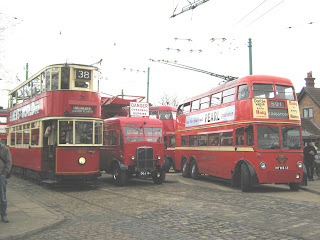 A possible future bus route perhaps??. We headed into Belton for a quick photo stop on Bracon Road before heading back along Southtown Road and home to the Depot. 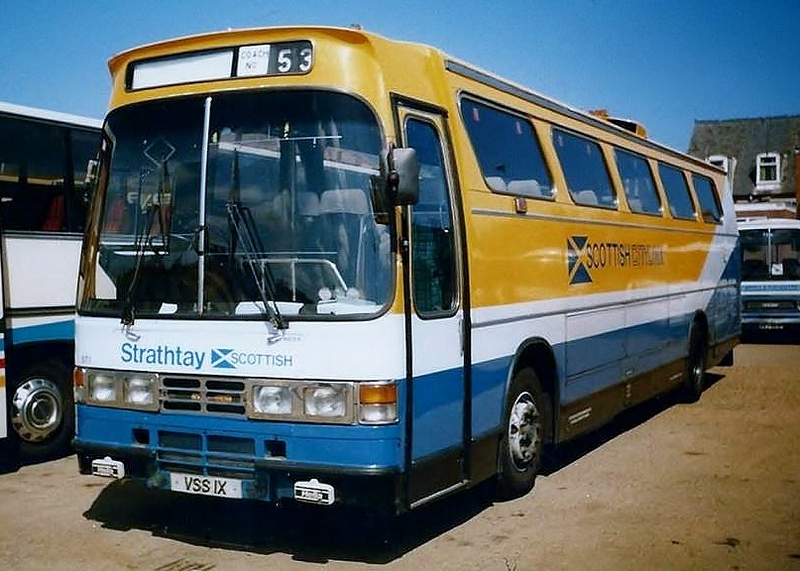 85 at the stop on Bracon Road, Belton. 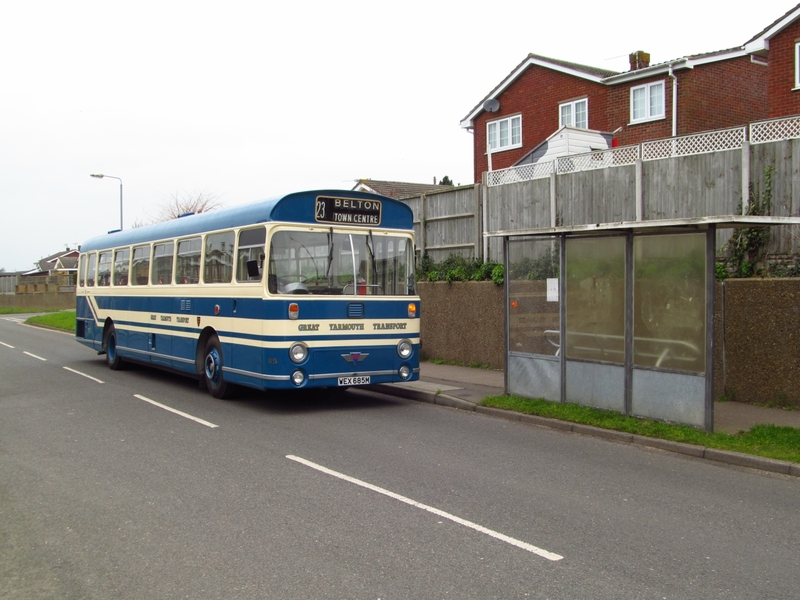 The morning also included a bit of flooring work and a certain Anorak getting to learn some more Bus driving skills! Dont forget you can keep up to date with 85's diary on Facebook or Twitter @WEX685M. As always thanks to Chris for the invite. Grahame.